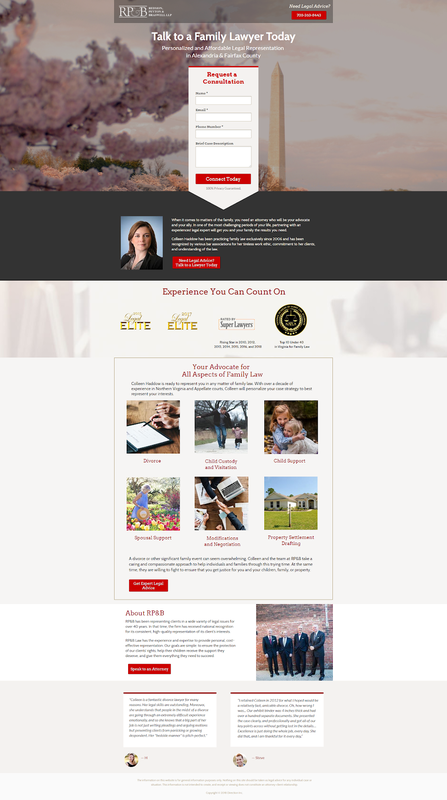 We were fortunate enough to help one of Virginia's top law practices with web design and Pay Per Click Advertising. 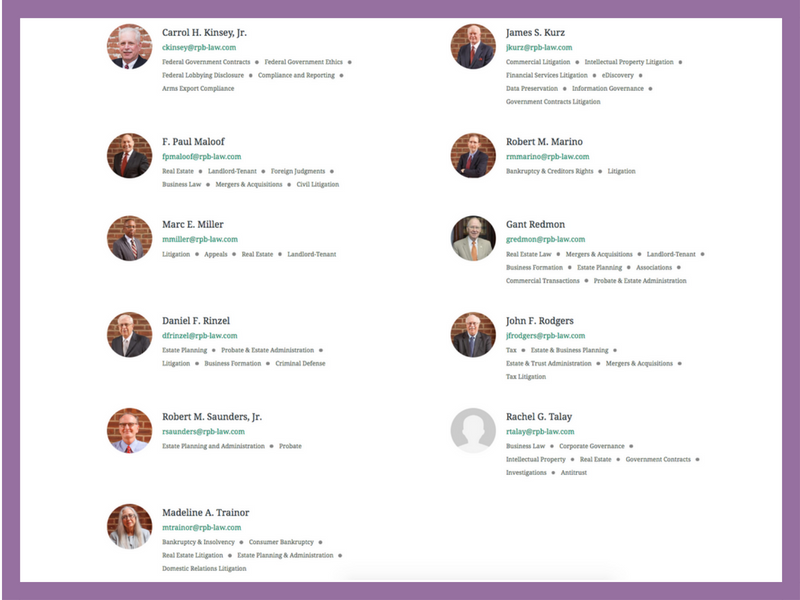 RP&B is a North Virginia law firm with a talented team of attorneys specializing in a wide variety of legal disciplines. 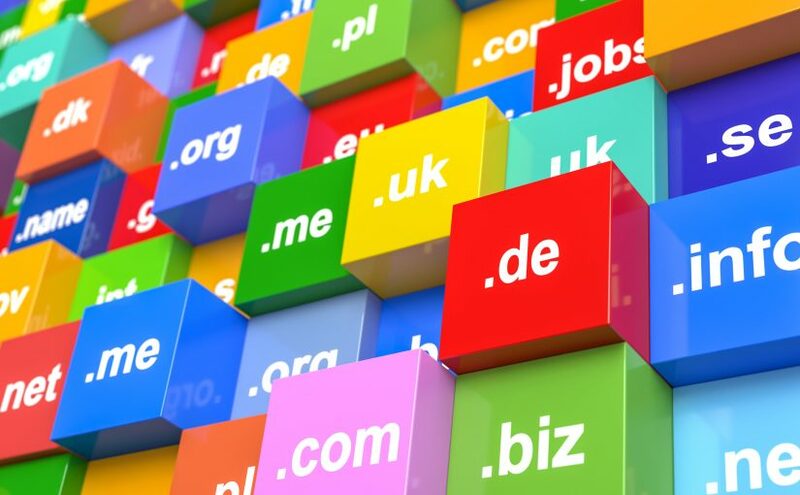 They came to us with an outdated website that they felt didn’t capture the firm’s breadth of expertise or reflect the unique aspects of their service. They were looking for a new platform to show off their attorney’s experience, provide information about their practice areas, and give their visitors the opportunity to get in touch with them right through the website. They also wanted to run a Google Ad campaign to instantly increase their number of clients. We needed to create a new custom WordPress website to support the firm’s marketing goals. Their existing site was not optimized for mobile viewing, slow, and overall had a poor user experience. Not only did the site fall short of the industry standard, it was not built with SEO in mind, making it nearly impossible for search engines to crawl and index the pages. 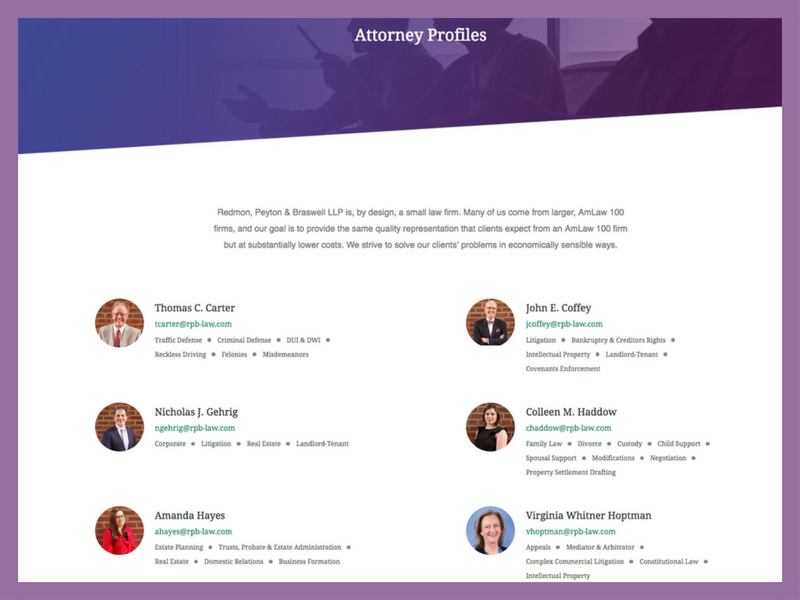 Because the firm has so many practice areas and attorneys, we needed to design a web architecture that allowed users to easily find the information or attorneys they were looking for, while optimizing each page for search engine visibility. Our web designers, developers, and graphic designers collaborated with RP&B’s leadership to create a stunning, professional website that captured the firm’s vast experience in local and federal courts and it’s unique commitment to their clients’ success. To complement the enhanced design, we improved the site’s speed and desktop and mobile user experience. We implemented a contact form and click-to-call integration so their clients could get in touch with them through the website. Our Pay-Per-Click Advertising team and copywriters collaborated to create a Google Ad landing page that immediately started generating new clients for the firm. 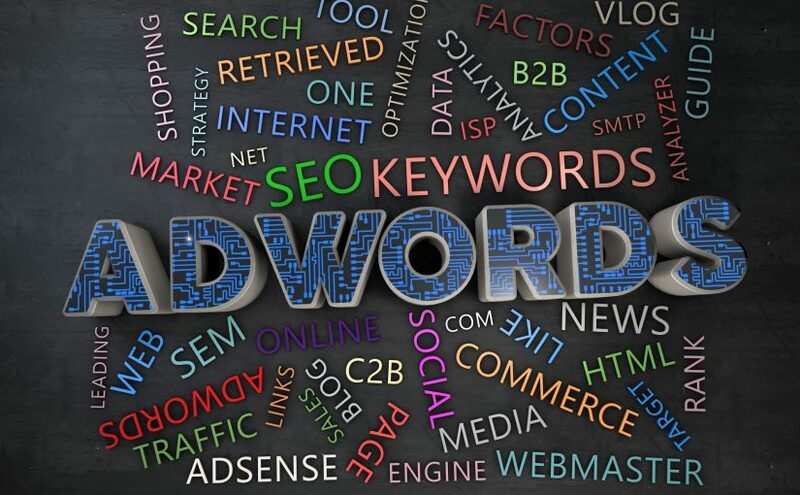 By targeting the most relevant keywords in the industry, the campaign was optimized to drive only the highest-quality traffic. RP&B now has a new website that not only looks great- but is fully optimized for search engine visibility and loaded with all the tools they need to launch a comprehensive SEO campaign. 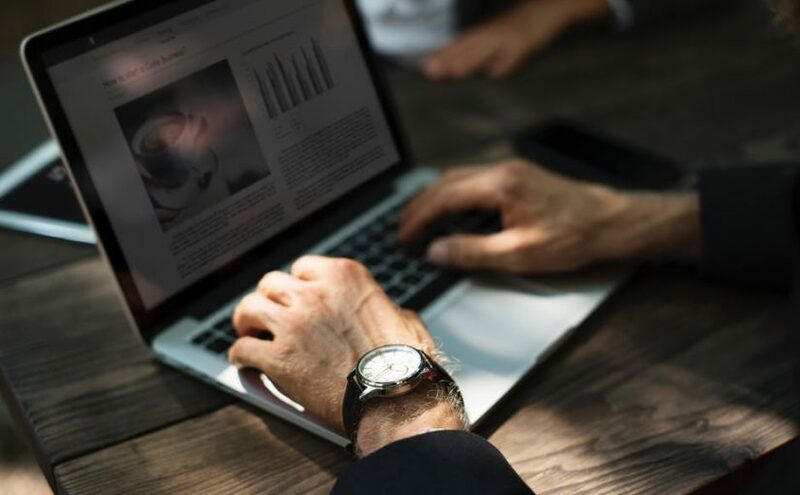 Even better, their employees can manage and make updates to the website themselves, which means they don’t have to call their “web guys” every time they hire a new attorney or publish a new blog article. For the Google Ad landing page, RP&B achieved an impressive conversion rate of 7.69% in the first month of the campaign. 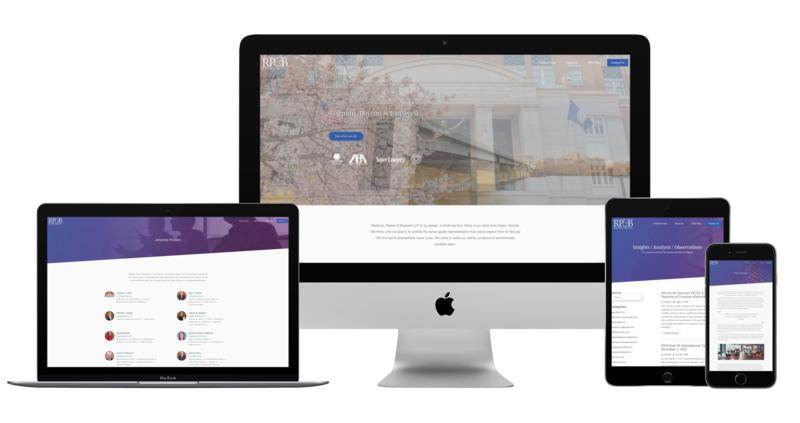 RP&B now has a brand-new platform to show their potential clients why they are Northern Virginia’s number one law firm.